The administrators of a care home operator in Scotland have instructed CAPA to audit properties across the firm, as a buyer is sought for the business. Tom MacLennan, Iain Fraser and Chris Stevens, partners at the business advisory firm FRP Advisory, were appointed joint administrators of Bertinaley Care Ltd on September 11 2018. The company operates four care homes in Hamilton, Largs, Dundee and Surrey, providing residential care, nursing care and respite care for up to 68 residents. The business had been suffering under a number of operational challenges and a decline in resident numbers, which resulted in severe cash flow problems which couldn’t be resolved. After Bertinaley entered insolvency, the administrators appointed Careport, the specialist care home managers and advisers, to ensure on-going care for residents and run the homes during the administration process. After closing one of the homes and moving residents into new accommodation, the administrators have also now appointed CAPA to carry out a property audit on the remaining three sites. The instruction will involve a forensic analysis of property outgoings across the audited sites. 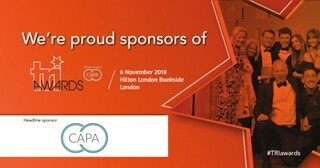 CAPA’s auditors will use bespoke software to uncover multiple elements such as errors in utility bills, or any overspend across the outlets, before recovering cash for the creditors of Bertinaley. CAPA’s team will also undertake an audit of rates paid out across the locations, to inspect the amounts and discover any further sums that can be recovered for creditors, due to any anomalies.